You rush from place to place to keep up with obligations at home, school, work and socially. Life keeps moving faster and faster. It’s a lot and it’s exhausting! While your energy and resistance are being drained, your stress level is going up. You probably experience this as anxiety, irritability, muscle tension, sleeplessness, depression or other serious problems. At the HeartMath Institute, we understand the toll it might be taking. Do you want more energy and resiliency? Do you want to feel better mentally, physically and emotionally more often? HeartMath can help. 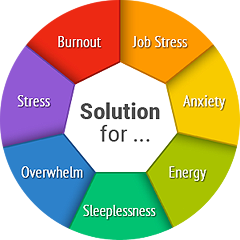 HeartMath understands stress because we’ve researched it in depth – for more than 27 years. While many researchers today hold that it is our perception of events, not the actual events themselves that cause most of our stress, HeartMath goes further. Our studies show that it is our emotional responses to our perceptions of events that cause much of our unhealthful stress levels. With minimal time, you can understand your own stress and learn some simple and effective ways to reduce it, increase energy and resilience and renew the joy of life. Coherence is an important state you should know about. Raising coherence helps you feel, think and sleep better, do better at work and school and improve communication skills. Learn how your heart, emotions, stress and coherence all relate and how your heart is as smart as your brain and affects almost everything you do. Mary Walsh, Phoenix Academy, San Rafael, Calif.
Several times a day take 5 minutes to follow these simple steps adapted from HeartMath’s Attitude Breathing® tool. Focus on your heart while breathing in. Concentrate on a positive feeling or attitude while breathing out. Lock in this new feeling and continue to breathe it in and out through your heart area. Gradually, as you become adept at this, choose new feelings to help you de-stress as needed. Breathe "appreciation" as you start and end your day. It’s a wonderful way to flow through all your daily activities — and sleep through the night. How much will your life improve when you learn to control your stress? A lot, according to the science of the last several decades. Following are some of the most important benefits of reducing stress. Helps eliminate unnecessary energy drain. Memory, focus, other brain functions improve. More energy in daytime, restful sleep at night. 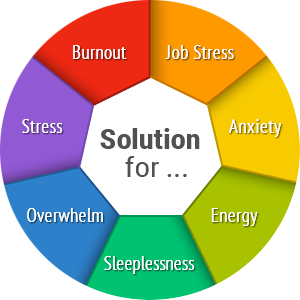 Knowing how you’re managing stress, adapting to the changes and stressors in your life and whether you are maintaining adequate energy reserves and resiliency is simple, quick and free with Personal Well-Being Survey™. This science-based tool measures 4 dimensions of Well-Being – Stress Management, Resilience, Adaptability and Emotional Vitality, then gives you personalized suggestions for moving forward. Take the Personal Well-Being Survey. 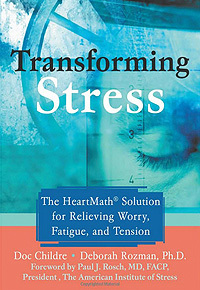 Learn more about harmful stress in HeartMath’s signature work, Transforming Stress. Read about the automatic stress responses wired into your brain and how to undo them using the power of your heart and emotions. Transforming Stress is one of the most complete works ever published on stress. It includes simple scientific explanations, examples and proven tools and instructions for using and getting the most out of them.